Shellfish and greens — who’d have thought they’d make such a delectable combination? So, back to Weight Watchers and the Y. Back to counting points and realizing that packing on 10 lost pounds is not a little weight gain. Back to going to bed with Stoic the Vast who knows how to turn off the television. Back to feeling better, even if I need 15 radiation treatments (chemo’s off the table — lucky me, yay!!) Back to vitamins and vegetables. Last night we had some leftover pasta with homemade marinara, oven-roasted cauliflower and a salad with greens from the garden. So when heartfriends came to visit this past weekend I used maybe half of the Rainbow chard in the garden. (It is immensely happy and self-satisfied out there.) The recipe called for spinach, but Dora the Explorer, who cooks a lot more vegetables than I, said chard would be fine, and it was. Stir together milk, eggs, salt, pepper and nutmeg and flour. Whisk until you don’t see lumps of flour. 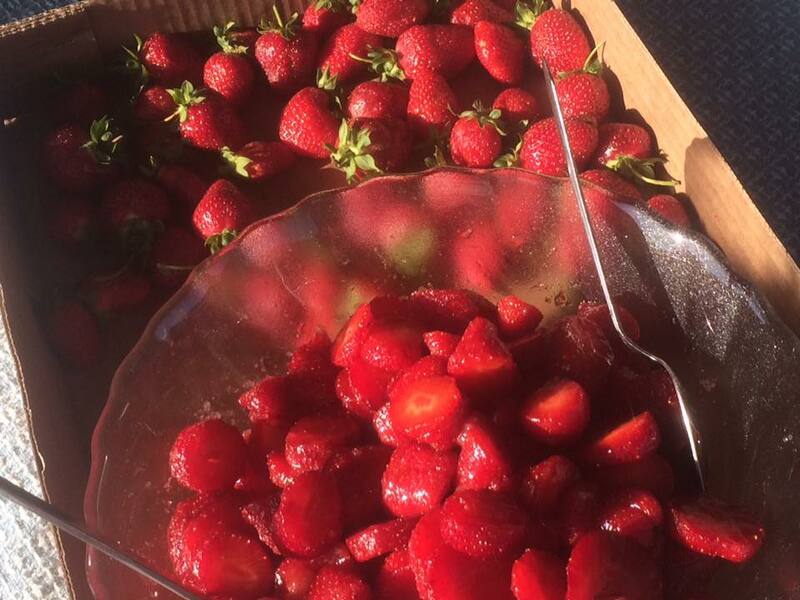 Local strawberries are a wonderful accompaniment to the nutty, cheesy tastes of the quiche. Add cheeses, crab, green vegetable and stir gently. Pour filling into crusts. Bake for 50 to 55 minutes or until tops are golden. Remove to wire racks to cool and “set” into firmness. Cover and refrigerate if not serving immediately. Makes 32 appetizer servings or 16 brunch or lunch entrée servings. 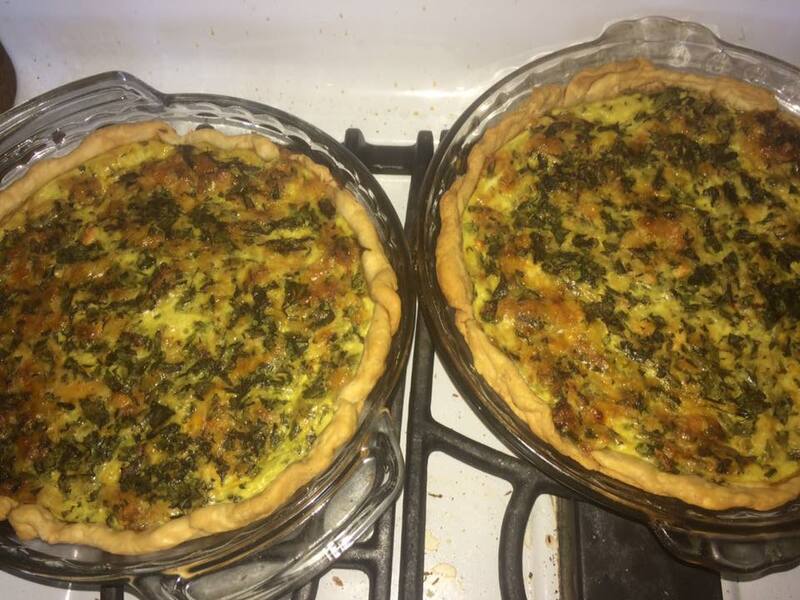 You can freeze one of the quiches for eating within the next few weeks.